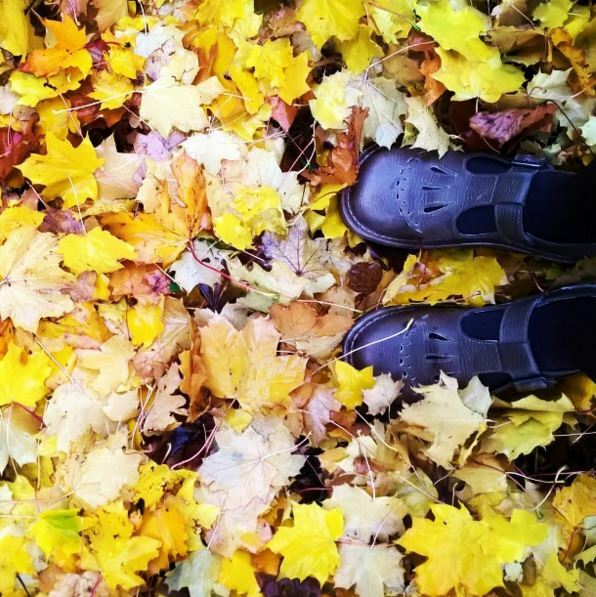 We kick things off with florabundy showing us that T-bar flats aren’t just for Spring/Summer with this great Autumnal shot. The Red or Dead Jade flats look real good paired with a pair of tights, ready for a kick about in a pile of leaves. 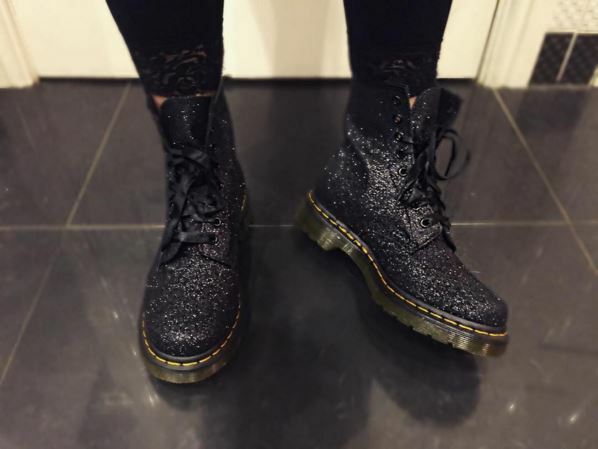 Next up we’ve got rachbmx showing us some biker style with a festive twist with the Dr Martens 1460 8 Eye Glitter boots. Paired up with a pair of lace cuff leggings to finish the look off nicely. 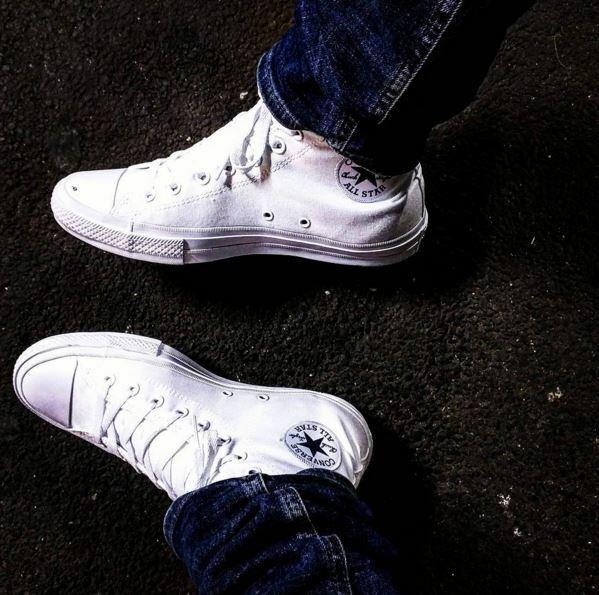 Who doesn’t love a fresh, white pair of Converse? The Converse Chuck Taylor All Star II Hi’s worn by labbott25 are a wardrobe staple for anyone, stick them on with a pair of navy jeans and you’re laughing. 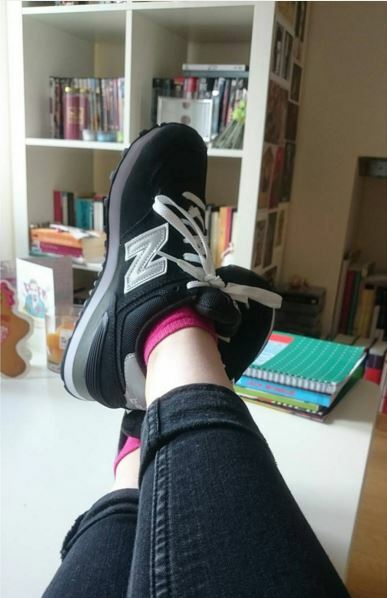 If you fancy throwing on a quick comfortable pair of trainers to chill in, then meekjen shows us that the black and white New Balance 574 is a perfect choice to put your feet up and take a break from the uni/work books. Wear them with a rolled up jean and a colourful ankle sock and you’ve got yourself a winning combo. Last up, we’ve got the schuh brown Edition Ankle boots. lydiaamy styled these little numbers up nicely with a pair of skinny jeans and a chunky sock. 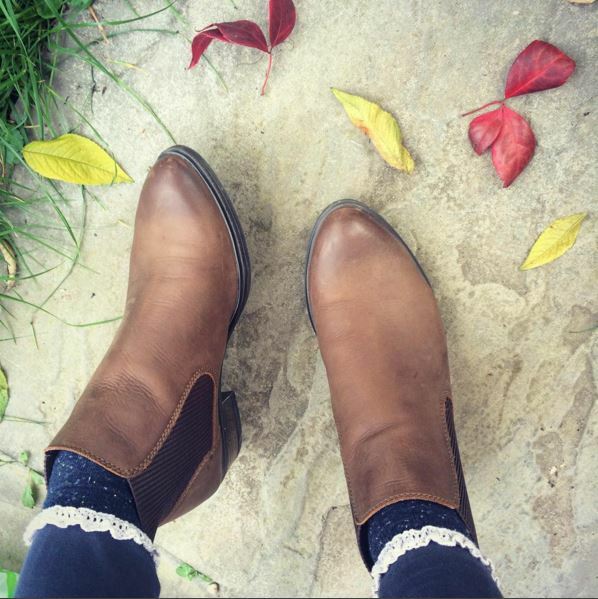 Don’t be fooled by the artistically placed leaves into thinking these can only be worn during the colder months, no no these boots will do you well all year round. So, there you have it for October. Fancy winning a pair of shoes yourself? Then put your camera where your shoes are and become one of November’s Instagram stars and you could be here next month picking up your free shoes. 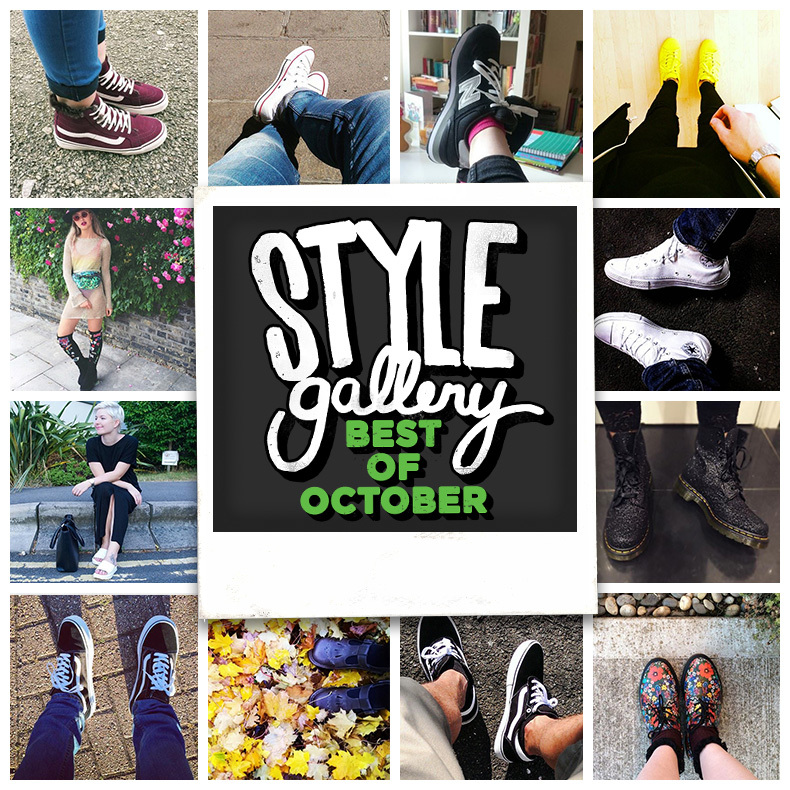 To be in with a shout just #schuh in your style pics and remember the more creative the better. Think you’ve got what it takes?